Falling. She's falling. Oh God, she's falling. Run, run, don't fall into the cracks! This one, kneel. Oh my God, what do I do? I can't feel my fingers, can't process this image, have to do something to help. Screaming. That's me, I'm screaming. Calling out in the mist and no one can hear me . . .
"You all right back there?" Lou struggled up the hill after her sister. Her mantra was now, "Just a few more steps to the crest . . . that's all." She said nothing -- talking would have expended valuable breath. Willa reached out a hand, and Lou took it, allowing her younger sister to help her to the top. Breathless, she looked at the path ahead of them. It seemed to go on forever, disappearing into the mist. "Heh," said Lou, giving up on standing and falling squarely on her rump. The gorse under her pricked her reproachfully through her jeans, but Lou was too tired to care. Willa's cheeks were flushed, and her red hair had tumbled out of its bun and now hung loosely around her face, some still held back in a pony tail just below her neck. She sat down next to her sister, careful to avoid any offending plants. "This was your idea," Willa reminded Lou. Lou nodded, though she couldn't tell if her sister had been teasing or restating the obvious. "It certainly wasn't on my list of things to do today to get chased by rabid seagulls." "They weren't rabid." Lou took a gulp from her water bottle. "I don't think seagulls get rabid. Actually, I don't think they're seagulls." "Herring gulls then," Willa said. She sipped from her own bottle and began to struggle with her hair. "Nesting herring gulls." She was definitely teasing. "The chicks were cute," Lou said with a shrug. "It's not my fault the path to Spanish Head goes right through their nests." The path they'd been following for more than two hours now was no wider than two feet at its widest. Lou and Willa had been hiking single file, except for the places where the ground was flat and absent of the monotony of heather and gorse. For the first half hour, they'd been enchanted. After the mist had settled in around them, they'd been cold, but cheerfully so. After the first hour of hiking through the mist, Lou had become vaguely irritable, but Willa's smile had never once diminished, though this kind of hiking wasn't her norm, either. Lou began to lean back, but the gorse bush reminded her of its presence, so she leaned forward instead, picking at the burrs in her shoelaces. "All right, Louisa dear," said Willa, "how do I look?" Lou looked at the tangle of hair Willa had adjusted into a bun and felt a smile echoing her sister's own. "Beautiful," she answered. Nomi Williams was seventy-four the year that Louisa Erkenbrand turned ten. Louisa had been assigned a project at school: research a famous author and write them a letter. She'd struggled for weeks on who to do. After all, C. S. Lewis -- her favorite -- was dead, and she thought Edward Eager probably was, too. She could do Bruce Coville, but Jared Miller was already doing him, and Amy Connors had already called dibs on Madeline L'Engle. "I don't know what to do," she whined, swinging her legs back and forth under the table and staring at her homework while her mother prepared dinner, kicking the table leg, half accidentally and half on-purpose. Willa was coloring at the table. "I'm done with my homework," Willa bragged, sticking her tongue out of the hole where her front teeth used to be. Louisa stuck her tongue out at her little sister just as her mother turned around. "Louisa!" her mother scolded. "What have I told you about teasing your little sister?" "No buts, young lady. You're stalling and you know it." Louisa pouted. She wasn't stalling, she just couldn't decide. There was a difference. She kicked the table leg again, but didn't feel any better. "Why don't you write to the fairy lady?" Willa asked her. Louisa glared at the little girl. "What would you know about who I should write?" "The fairy lady would be perfect," Willa said officiously. "She's famous, and she writes good stories. I like the fairy lady." "That's a very good suggestion, Willa," said their mother, still focused on the stove. Willa beamed. "If you're so good," Louisa hissed, trying to stay below her mother's hearing, "why do you call her the fairy lady instead of by her real name?" "Louisa . . ." her mother said warningly. "Because she is a fairy," Willa said, lowering herself down from her chair. "I read it in an interview." Louisa rolled her eyes, but followed her little sister. Willa led her into their room and pulled a paper out of her backpack. "It's from the Weekly News," Willa said, thrusting it at Louisa. Louisa looked at the crumpled up paper -- a newsletter sent out to the first grade classrooms all over the state. The topic of the paper was fairy tales. Sure enough, there was an interview with Nomi Williams. And the interviewer called her a true fairy, perfect for their issue on fairy tales. "See? She's not dead," said Willa. "And I bet no one else is going to do her, because they don't have a smart sister like you do." "All right, fine," said Louisa. "It's a good idea. Thank you." Willa beamed, and her tongue showed through the hole in her teeth without her having to stick it out. Louisa sighed and loved the little girl at the exact same time as she felt like wringing her neck. When Nomi Williams was six years old, her parents brought her newborn sister Ruthe home from the hospital. She was red and wrinkly and smelled of powder. Nomi's mother offered to let her hold the baby, and Nomi held out her arms obediently. She looked at the little one in her arms, and the big blue eyes that gazed up at her seemed more intelligent than they should have been. Older. Nomi crinkled her nose. "She's been changed," Nomi said, handing the baby back. Her mother looked startled. "Yes, over at the hospital," said her father. "Babies have to have their nappies changed regularly. They can't go to the toilet themselves like big girls." "No," said Nomi defiantly. "She's been changed. By fairies. Her eyes are old." Nomi's parents looked down at her for a moment, then laughed. "Oh darling," her mother said. "We've been with Ruthe every minute since she's been born. Or the nurses have been. She is your sister, one hundred percent." The baby put her thumb in her mouth, and her parents cooed over it. Nomi crossed her arms. She could tell a fairy when she saw one. The baby looked over at her and winked, and she saw its eyes glow pink for a moment. "Such a happy baby," said Nomi's mother. "Doesn't cry at all." "And look how smart!" said Nomi's father. "Already knows her thumb. That's my girl." That night, after her parents had tucked her in, Nomi waited. When all was quiet, she sat up in bed, looking over at the cot where the fairy slept. And then she waited. Finally, hours after she should have been asleep, the fairy started wandering around, climbing out of its cot with infantile arms and legs. Nomi cleared her throat. The fairy froze. "I know what you are," she said sternly. "Only baddies are thrown out of the fairies to be changed for real babies. They wanted to see you off, did they?" The fairy glared at her, and the wide eyes glowed an angry pink. "Then they'll use my sister as a slave to take care of their ponies. That's the way of it." Nomi crawled down to the foot of her bed slowly, so as not to frighten it. "It doesn't have to be. The usual ways to get the baby back is to take the baddy and throw him in the fireplace, because no one would ever do that to a real baby. But you don't want me to do that." The fairy slowly shook its head. "Then the simplest way of it," said Nomi firmly, "is to get yourself changed back." The fairly looked as though it was trying hard to get its new vocal chords to work. "How?" it uttered finally. "We wish it," Nomi said. "Your queen or king or whoever sent you away won't have thought to keep wishing from working." "Wishes is dangerous," the fairy said in a very squeaky voice. "It takes care," said Nomi. "I know. I've studied. What we do is wish you and my sister Ruthe changed back. We'll be very... what�s it called? Starts with ess." "Stern?" said the fairy hopefully. Nomi knew that wasn't the right word, but couldn't be bothered to come up with the real one. "We'll mean what we say. And be careful. All right? But you've got to get back in the cot, or Ruthe will wake up and not be able to stand." The fairy obediently climbed back in the cot. Nomi climbed back to the head of her bed and got under the covers. "On three," she counted. "One . . . two . . . three . . ."
Nomi and the fairy wished very hard at exactly the same time, and Nomi felt wind rush into the room. A small potted plant fell off the shelf by the window and smashed on the ground, shattering, and baby Ruthe began crying with all her might. Nomi breathed in and out slowly, feeling warm inside. She'd tricked a fairy into giving her sister back. When her mother came in, Nomi was asleep. Her mother rocked little Ruthe in her arms, comforting the child, assuring her that the noise was not a problem. Once Ruthe quieted, their mother tucked the broken pieces of the pot into the dustbin and watched her two girls sleep for a moment before going to check the window. It was locked. She's lying there. Oh my God, she's not moving. And I'm still screaming. I can hear it, but I can't feel myself making the noise. I must be talking, but I have no idea what I'm saying. I've got to get help! Stand, run back up. Oh, God, don't fall into the cracks! Don't think of her lying like that, bent in a way she couldn't possibly bend. Just don't think! God, why can't anyone hear me? Lou watched the other hikers disappear into the mist behind them. "Well that's that," she said. "It's just you and me and the sheep out here." "Baa," said a sheep, about ten feet off the path. Willa laughed. Lou burped. Willa looked at her sharply. "What?" Lou asked, putting her hand on her chest to resist the urge to politely cover her mouth. "I was just talking to the sheep." To prove the point, Lou burped purposely this time, and the sheep baaed in response. "See?" Willa shook her head and walked into the mist. Lou hurried after her. "What?" The mist was thicker here than it had been, and Lou readjusted her backpack and pulled out her map. She'd planned for a nice walk along one of the walking trails, not highland hiking. The gorse and heather didn't really provide landmarks, but the other hikers had said they were coming up on the Calf of Man. "Hey Will!" she called, her head still buried in the map, the top half of which had flopped down over her head. "When we get to the Calf of Man, we'll be about half-way to Port St. Mary!" "Lou, watch where you're going!" Lou stopped immediately and looked up. Willa had turned to look back at her, though Lou could only see a hazy version of her sister. Immediately in front of Louisa was a dip in the path, which she would have tumbled clumsily down without her sister's warning. It wasn't a large dip, but the thought of twisting her ankle out in the middle of nowhere sent chills running up and down her spine. She shivered and pulled her jacket more tightly around herself. After packing the map away, she half-walked, half-slid down the hill to catch up to her sister. "Are you trying to kill me with worry?" Willa demanded. "First attacked by gulls, now trying to kill yourself falling down a hill." "I wouldn't have killed myself," Lou protested, waving away her sister's concerns. "Sprained an ankle, maybe. But not killed." "If you fell out here, there'd be nobody to help us, and I can't carry you back. Mom would kill me if I let you die out here," Willa said, her lips tightening into a thin frown. Lou grinned, gently poking her sister's nose. "She couldn't kill you. You'd be her only daughter left." Willa punched her in the shoulder and spun around on her heel, trying to hide her own smile. Lou increased her speed to stay close behind her. When Nomi Williams was seventy-six, Louisa had her twelfth birthday. She blew out all the candles on her cake at once, and Willa licked the frosting off of the bottoms. "Ick," she said. "I swallowed some wax." "Serves you right," said Louisa. Her mother actually backed her up. "She has a point, Willa. You lick candles? You're gonna get wax." Realizing she wasn't going to get anywhere with this line of attention, Willa shifted topics. "So whatcha wish for?" "Can't tell," said Louisa stubbornly. "If I tell it won't come true." She'd actually thought about her wish very hard. The truth was that she wanted very much to become a writer when she grew up, and so she'd thought of just wishing that. But something that Nomi Williams had written her in a letter made her stop. "The first wish almost always causes a problem," she'd written. "The second wish is almost always used trying to make the first wish right. The third wish is our rescue -- the one that allows us to undo the other two and simply wish we'd never wished anything at all. If only we could get those three out of the way and start with a fourth wish, we'd do quite well. But of course, we never get a fourth wish, because wishes don�t come in more than threes." So Louisa thought about it very carefully. Instead of wishing a big wish, like being an author, she wished a very small wish. "I wish that my writing will keep getting better the more and more I write." She didn't see how that wish could go wrong. It didn't take anything away from anybody else. It didn't mean she'd be trying to get something without any hard work. It just backed up her desire a little bit -- gave it a little oomph. That night, before she went to bed, she wrote Nomi Williams a letter. She explained that she'd turned twelve and she explained about her wish -- not revealing what she'd wished for, of course. "I think you'd be very proud of me," Louisa wrote in conclusion. "I took your advice very seriously and think I may have wished my fourth wish first. If you could . . . wish me luck!" I am very impressed with your wish; although you didn't tell me what it was (good for you! ), I am certain, from how you wrote of your decision, that it was a very wise wish indeed. And I am awfully glad that you wrote to tell me of it! Twelve is a very big year, you know. Twelve dancing princesses, twelve hours from midnight until noon, twelve apostles, twelve sailors who followed Odysseus, twelve houses of the Zodiac, and twelve months in a year. It's a very important number, and deserving of a very important gift. Had you written to tell me earlier, I should have sent this along quite a while ago, especially now that I know how very careful you are with wishes. You see, I have on occasion given people wishes. Now, all of the girls I've given wishes to have written to tell me that the thing they wished for did, in fact, come true! This isn't to say that I take credit for their getting married or getting well or anything spectacular happening in their lives. But who's to say whether or not things happen because of magic or merely because we wish hard enough? So, here is my gift to you: I am giving you a wish. Hold onto it, and don't use it until you know you really need that wish. You'll know when the moment is right to use it. And remember, you mustn't tell anyone what you've wished! It quite breaks the spell. Well, my dear, do take care of yourself and that lovely little sister of yours whose drawings I so enjoy. You can tell her about the wish if you'd like, but I wouldn't tell too many people, or, of course, they'll all want to know when you've made it! Remember, if you're	ever in Great Britain, do ring me up. I'd be delighted to have you for tea. Louisa read the letter twelve times, then finally let Willa read it. Willa held it as though it were something precious. "You get a wish," she whispered that night while the two of them were supposed to be falling asleep. "I know," said Louisa. "It's a big responsibility." "Mmm hmm," Willa agreed. After a few moments of silence, enough so that Louisa had almost drifted off to sleep, Willa said, "You can't tell me what it is." There was a pause again, and Willa's voice finally, dreamily, drifted over to Louisa's bed. "Can you tell me when you've made it?" Louisa tried to think, but her brain was all muddled. "Maybe," she said. "Maybe you'll know." "Maybe I will." Willa was quiet again and stared up at the ceiling. "Goodnight," she whispered, but Louisa was already asleep. "Miss Nomi, please tell us another story . . ."
Nomi Williams was twenty-one. She looked up from her writing desk in what had once been the nursery and saw the London children gathered around the door. Through the window, moonlight streamed in. It was nearly time for them to be in bed, and she could easily finish this before she had to be to the office in the morning. She covered the papers on her desk with a thick collection of Hans Christian Andersen's stories written in the original Danish. "All right then, but just a short one," Nomi said. "You've got school in the morning, and I spent enough time in trouble with the headmaster while I was a pupil. I don't need any more trouble now." She winked at the children as she stood and stretched. As a group, they settled into the window, Nomi on the window seat, the youngest of the London children up with her, and the older two sitting on the floor. She'd thought the eldest would be too old for tales, but he, like Wendy's Michael, seemed just as interested in the stories as his younger siblings, though not as inclined to admit it. "Tell us a fairy story, Miss Nomi," said the youngest, tugging at the hem of her skirt. "Yes, one with luverly fairies," said the middle child, the only girl. "Not the nasty fairies like you told about before. Like the one who flies with Peter Pan in the play." "Ah, they're not all like Tinkerbell," said Nomi. "But some fairies are good enough, I suppose. You're certain you wouldn't rather hear about outsmarting fairies?" A cough came from the doorway. Nomi looked up to see Ruthe leaning against the doorframe, arms crossed. "Children, weren't you just sent to bed?" "Just one story," said the eldest. "Miss Nomi said it would be short." Ruthe raised one eyebrow, but nodded, and Nomi wove the story for them. She didn't care for stories about good fairies, because she thought they were a little bit dangerous. But the Brothers Grimm had a nice story about a shoemaker aided by brownies, and that seemed harmless enough. So long as you left food and not clothing, brownies were just fine. After the story was over, Ruthe ushered the children out of the room and to their beds. Nomi raised the book and looked at her notes. She translated from German all day long for Bletchley, then came home at night and translated Hans Christian Andersen's works for herself. You couldn't retell the stories, not truly. Turning them from Danish into English, even when a phrase was turned, was translating -- bringing stories from one language to another, one culture to another, one time to another. If only fairy tales could help the war effort. . . .
Nomi heard a cough from the door, and turned to see Ruthe looking in at her, shaking her head. "You work too hard," said her little sister. "What about you?" asked Nomi, swiveling the chair around to face her. "School all day, then caring for three children at night while Mum's off at the factory?" Ruthe came in and sat at her feet. "I wish I were good at something that could help . . ."
"Wish granted," said Nomi, kissing her atop her head. "You are helping, darling. Those three children need you. They're glad of a young auntie who knows how to cook and keep them clean and their stockings darned." "And a young auntie who tells them stories." Ruthe tugged at Nomi's skirt. "Tell me a story? The one where you saved me from the fairies?" Nomi ran her fingers through her little sister's hair. "Once upon a time . . ."
There's no one here. No one for miles. We are the only people on this damn island in the mist. Run back. The mist is in the way. . . . I don't know where she is! Look in them, look in them all. She has to be here, she's still here, I have to find her! I have to save her! Why am I crying? If I'm crying I can't see. I can't breathe. Just stop crying and find her . . .
At the part of Spanish Head across the water from the small island known as the Calf of Man, the mist had cleared a little bit, probably because they'd finally come down out of the hills. Lou and Willa sat in the cafe that was there for the tourists; they'd taken off their socks in the ladies' room and tried to dry them with the electric dryers. Now with toasty warm feet inside of still squishy shoes, they drank hot tea (with cream, but no sugar, trying to behave like proper British girls) and ate sandwiches, relaxing for a few minutes before heading back out into the mists. Willa went to buy a bag of salt and vinegar crisps while Lou pulled out her oversized map and unfolded it. She stared at the walking path as it progressed around Spanish Head and realized they could give up now and take the road back to Port St. Erin. It would be an easier route, and certainly less foggy and cold. Lou felt like a turtle with the hood of her sweatshirt pulled tightly about her head. Her jacket was damp through and her jeans were soaked to her knees. "The boy at the counter says the fog is supposed to clear this afternoon," Willa said as she flopped back into her chair, crunching on her crisps. "It's been dreadful for the TT races, but they expect the sun to pop back out and the races to continue on as normal." Lou sighed and looked at the map again. If the races were back on, it meant that traveling the footpath was going to be less crowded than traveling the roads. The bike races weren't supposed to happen down here, but unofficial clusters of bikers managed to zoom their way on any given road of the island. "Well, the sun will be nice," Lou acknowledged. She pointed out where things were on the map. "If we keep going around Spanish Head, we'll hit the Chasms in an hour or two." She looked up at Willa for some sign of opinion, but Willa only nodded, taking in the information. "Or we could hike back up the road, get back to the bed and breakfast, and warm ourselves up by the fire and play Othello." Willa laughed. "What, and tell our friends back home that we hiked half-way around Spanish Head? That's silly." Lou frowned. "Will, our friends don't even know what Spanish Head is." Willa tapped her camera. "They will when we get back." "Maybe I just like Manannan's mist better than most," Willa said, invoking the name of a local mythical god or necromancer -- depending on who told the story -- responsible for the mists over the Isle of Man. "I'm cold and wet, but I'm having fun. Aren't you?" "Of course I am. I'm with you." Lou slugged her sister's shoulder, then blocked when Willa tried to hit her back. "Hey," she said, "one for one." Willa brushed a strand of her loose red hair back behind her ear. "I'll get you when you're not looking." "I know where you sleep," Lou reminded her. They headed back out into the mist, water bottles refilled, stomachs satisfied, and socks dried. The mist showed no sign of lifting, but they laughed and teased each other through the park full of tourists and back onto the long path around Spanish Head. Louisa and Willa sent Nomi Williams a birthday card for her eightieth birthday. They got a very nice thank you note in reply. Neither of them had ever told anyone about Louisa's wish, and the secret made them close. But Louisa was in high school and Willa was in middle school, and the division of those years sometimes made it hard to understand each other. They still shared a room, though they complained about it constantly. But it was because they shared a room that Willa was there when Louisa came in crying after school the Monday after she'd been at a weekend slumber party. Willa, not sure what to do with her distraught sister, tried to gather the older girl in her arms. She was too small, though, and she couldn't quite wrap her arms around her sister's sobbing shoulders. "It was awful!" Louisa wept. "They tried to make me tell, Willa!" They'd been playing truth or dare, and one of Louisa's truths had been to tell her deepest secret. The wish was more or less the only secret she had, although she'd harbored a small secret crush on Jared Miller since he'd beaten her to Bruce Coville in the fourth grade. He still read reasonably good books and talked to her like a person -- values she admired in a sixteen-year-old boy. So she traded her secrets and admitted about Jared Miller, because that wasn't a sacred secret the way the wish was. But then on Monday, everyone at school knew. Everyone she met in the hall made some comment about Louisa's crush, about how cute it was, about how it was about time she'd shown interest in a boy, about how it was too bad that Jared was so far out of her league. The girls had decorated her locker with ribbons and posters with awful slogans. Jared Miller avoided her -- and to be fair, she avoided him at least as much. Louisa had been mortified. "Will, I almost used the wish," Louisa whispered, after sobbing out the story. "I wanted to make them pay, I wanted to wish that it had never happened, that I'd never said anything so stupid, that I'd made up a lie, anything to make it all go away." "Lou, you didn't!" Willa was afraid, and held her sister even more tightly. "No, I didn't." She started sobbing again. "But I've never been so miserable in my whole life!" Louisa's friend Amy called her that night and apologized, explaining it had all been Bethany's fault, and that they'd get her back, then gave her the news that Jared Miller actually might ask her out, so everything would come to a happy end. Louisa wasn't even sure she wanted that, but she tried to accept Amy's apology, even though she felt utterly empty about the whole event. The conversation started to focus less on Louisa and more on Amy, about which Louisa was just as glad, as she didn't really feel like talking. "I just wish I could have been there to see Bethany's face when Jared dumped her. That's why she was so awful about the whole thing, you know." "What about you, Louisa? You ever wish you could really get someone? Be around to see it?" Louisa shrugged, even though Amy couldn't see it over the phone. "I don't really make wishes, Amy." Amy snorted in disbelief. "Everybody makes wishes." "I just don't think they should be made lightly, that's all," Louisa said, twisting the phone cord in her fingers. "Yeah," said Louisa. "I know." They decided to go to the Isle of Man the summer after the War ended. Nomi had already turned twenty-five. She'd been accepted at Oxford starting the next semester, due to her translation work in the war effort. She'd be studying linguistics, but would also spend some time on English and the Classics. It all sounded more scholarly than she'd wanted for her life, but she couldn't pass it up. Ruthe was hoping to get married; she'd written a soldier all through the war, and he'd made it through in one piece. So this summer would be their last holiday together, just the two sisters together. They hiked through the gardens on the path up to Bradda Head in the town of Port Erin. Nomi bought a book of folk-stories in a little bookshop in Port Erin. It was all very rural, very far away from England. Here they could pretend that the war had never happened. Here, they could believe that the world was full of stories, and that wishes could come true. Valerian grew up in huge stalks topped in purple. Other flowers shaped like trumpets, for which Nomi didn't know the names, hung down over the path. Ruthe's fingers touched each one as they walked under. "Do you suppose I really was a fairy when I was brought home?" Nomi tapped the bag in which she carried the book of folk-stories. "I certainly believed it when I was six years old." "I wonder what it would have been like in the land of the fairies." Nomi turned and looked at her sternly. "You'd have been cleaning out horse stables or working in the kitchens, surrounded by beautiful people treating you badly. Time would have passed, years, and you'd never have known it had gone by. You'd have lived there until they decided you were past being beautiful, and then they would have turned you out of their hill, and you'd have come up not knowing a thing, hardly able to speak, years after anyone you might have ever known had long died." Ruthe examined the flower more closely. "That bad?" She pinched off the bud and tangled it in her hair. "Well, I suppose I ought to thank you for rescuing me." She grinned, tasting her own joke before she made it. "I suppose I was a bit young to be rescued by a handsome prince. . . ."
Nomi tapped her sister's nose. "Prince Philip would still have been a bit young for that sort of thing, darling." They continued walking uphill until they came out of the gardens and could see out over the ocean. "What about King George then?" said Ruthe. "Suppose he would have fought the fairies for you?" Ruthe twined her fingers in with her sisters'. "I'm sure you did a better job." They watched the sun start to set down onto Milner's Tower, a landmark on the cliff overlooking the ocean, still high above them. "And now you'll marry your soldier," said Nomi, "and you'll live happily ever after." "I can wish," laughed Ruthe. There! Oh, thank God, there she is. Honey, help is coming, I swear. I don't know where it's coming from, but things will be all right, I promise. Oh, God, why aren't you moving? I can't even see you breathing! Please, please be all right. You have to be all right! They came to a fork in the path that hadn't been on Lou's map. One branch went out along the edge of the island -- they could hear the water splashing up on the rocks from where they stood -- and the other took the inland path. "Come on," said Will, heading out along the edge. "I don't know," said Lou, looking longingly at the inland path. "It's foggy. What if you fall off the edge? Mom would kill me!" "She couldn't kill you." Willa smirked. "You'd be her only daughter left." Lou started to retort, then realized her own logic had been used against her. "You're a jerk," she said. "Please Lou?" Willa begged. "We may never come here again! We'd be missing it." Lou looked one last time at the inland path, then followed her sister on the narrow path out along the edge. "I wish this fog would clear," Willa muttered. "Oh child of Manannan, how your tale has changed!" laughed Lou. "Don't wish lightly, kiddo." But then the strangest thing happened. As they walked along the path, they walked out from the edge of the cloud. A small cliff stood before them in the most glorious sunshine. Willa took the band out of her hair to let the breeze flow through it. She plopped herself firmly on the very edge of the cliff and bathed in the warmth of the sun. Lou looked at her and wondered if maybe, like Nomi Williams, her sister was some sort of fairy, for in that instant, she looked so youthful and so full of beauty and power that Lou almost felt her breath taken away. Perhaps it was just the sunshine after so long in the clouds. They sat there for a half hour or so, basking in the glow, watching the blue of the waves crash against the rock so far below them. If Lou had been the kind of person to make wishes in vain, she would have wished that the moment would last, that they could just revel in that instant of life. Instead, she made a tiny small wish to herself -- not the big kind that meant invoking the true wish that Nomi had given her, just the small sort. She wished that this moment would stay in her heart, and that whenever she felt sad, she would remember sunlight and waves and wind in her sister's red hair. Lou dashed across her dorm room, trying not to step on her term papers or the scatter of books she was using for research on her thesis. Her roommate dangled the phone in front of her and she made a grab for it. "This is Lou," she said into the receiver. "Lou." It was Willa. "Sit down." Lou sat on the edge of her bed obediently. "Will, what's wrong? Did something happen at school . . .?" Lou stood up. "What?" she shouted. Her roommate jumped, and after looking at Lou's face, quietly left the room. "Please, Lou, calm down." Willa sounded on the verge of tears. "I just read it this morning when we were doing a library research seminar. The librarian had to ask me why I was crying and I had to be excused from the first half of second period. Please, please, I need you to not freak out." But the tears had already started on Lou's end, and she was shaking. "But she can't be dead," Lou whispered. "We never . . . I mean, I never got to meet her. She's a fairy! She can't die!" "Lou, please!" Willa sobbed. Lou heard her crying again and then echoed the sobs on her end until both sisters had utterly dissolved into tears. "What are we going to do?" Willa asked finally, when they'd calmed down enough to hear each other. "We have to go to her," Lou said, holding back the sob still clinging to the back of her throat. "Go visit the Isle. Put flowers on her grave. Something." "We could ask Mom and Dad to send us," Willa said. "Graduation present, I guess." Lou tried a smile and found that it didn't hurt. "Yeah, we could ask. Both of us graduating this year, they really ought to do something." That night, Willa pulled an old book of fairy tales off the shelf at home, a collection Nomi Williams had put together, introducing each piece with some note of wisdom. Willa read all the introductions and none of the fairy tales and fell asleep with her light on and the book open on her chest. Lou worked on her thesis until four in the morning, citing J. R. R. Tolkien's essay "On Fairy Stories" and C. S. Lewis's statements on the Narnia books and mixing mythologies. At three thirty, she pulled a tattered copy of Nomi Williams's fairy tales off her bookshelf and pulled a letter out from the cover. "The first wish almost always causes a problem," she read. She looked at her thesis blinking on the screen and wrote an entire section on wishes in mythology and its relation to hubris and she cited her letter from Nomi Williams. She almost wished then, but she knew that when death happened, wishes couldn't make a difference. That was part of the limitation of wishes. At four, she turned off her lamp, crawled into bed, and cried herself to sleep. "Look, look!" said Nomi, pointing to the hill in the middle of the pasture. To keep the sun off their noses, the two young women had bought wide brimmed hats, which hung loosely on their backs now. The sky was full of clouds, and the mist was thicker than they'd ever seen it at home. Ruthe looked at the hill. "Looks a bit sprubbly to me," she said with a shrug. "No, no." Nomi pointed to her book. "It's a fairy hill. They called it Cronk Moar in the old tongue. There's a whole story in my book about it." Ruthe laughed. "Are you certain you don't want to just stay here? Oxford doesn't need you nearly as much as the stories this island seems to be telling you." Nomi bit her lip, feeling embarrassed. "Well, you wouldn't want to live in one," she said finally. "No," said Ruthe. "No I wouldn't." She looked around her and shivered a little in the wet chill. "And to tell the truth, I don't think I shall miss the island itself. Not enough sun for me." "Oh, but the mists are important," said Nomi. She started back on the path toward Port Erin, turning her back on the mound. "They're supposedly called by Manannan to protect the island. It's why the island didn't get raided as much as others, why the Vikings didn't land here until later, and then they stayed and didn't rob and pillage. They set up government." "Some might say that's just as bad," laughed Ruthe. "But Man-who?" "Oh, Manannan. He was a necromancer or local god of the Celts who lived here." She pulled the book out of her bag. "There's some debate." "And he calls these mists?" Nomi nodded, flipping pages. "So it says." She stopped. "Oh! I really should have left something for the fairies. Do you have a biscuit on you?" Ruthe looked at her askance. "Why would I have a biscuit on me?" Nomi looked back at the hill, then shrugged. "I just thought perhaps . . ." She slung her bag off her shoulder and began digging through it. "We're both going to catch our death of chill," said Ruthe. "I'll only be a moment." Her fingers wrapped around a bit of scone she'd tucked away in a cloth. She hadn't known why she'd done it at the time, but now it made sense. She dashed off across the field, waving to the sheep she could see through the mist. She left the scone outside the brambles and hurried back after her sister. "You're such an odd one, Nomi Williams," Ruthe laughed when she returned. "Come on, then," said Nomi. "Let's get back to town. Wouldn't want to catch cold." I'm shaking. I'm shaking and my hands are bleeding and I can't feel anything and I'm looking at my sister and she's not moving and I don't think I can do anything but I have to do something because I can't leave her alone out here and I don't know what to do! I'm crying and shaking and there she is down there and this stupid bloody mist is making it harder to see than my stupid tears and why can't I do anything? Manannan, banish your mists so I can save my sister! There was an abandoned barn or house or visitor's station on the inland side of the Chasms. Two benches, both rotted slightly from the constant damp, invited Willa and Lou to sit and rest before braving through the mists once more. "Nobody out here for miles," Willa said, squeezing the bottoms of her jeans, trying to get out some of the water. "Nobody's foolish enough to be out here on a day like today but us," Lou shrugged, leaning back against the barn. She closed her eyes. They lost people out in the Chasms, sometimes, or so their bed and breakfast host had told them. People went out for a walk and disappeared. It was like the kids who got pulled in by the tide out on Lake Michigan where she and Willa had summered; sometimes kids went out swimming and just didn't come back. There was something about the reality of death that made a person more aware of breathing, and Lou felt it now, noticed every breath she took. "This isn't a good idea," she said, opening her eyes slowly. "We should just go back up on the path and continue our way around Spanish Head." "Come on, Lou, we're not going to come back to the Chasms, are we?" Willa had on her pleading face. "What if we never come back?" "What if you never come back if you go out there?" Lou frowned at her sternly, trying not to give in. But then they both heard a quiet "baa" from out in the Chasms and there was no longer any question. Willa set out first, walking slowly, minding her step. The mist wasn't thick enough to keep them from seeing where they were walking -- just not too much beyond it. They saw the crevices breaking up the ground and stayed clear of them, walking on the solid bits. Some of the chasms weren't so deep, but they couldn't make out the bottoms of others. The quiet "baa" echoed back. Willa burped, just to make her sister grin and take the edge off of their adventure. If they could smile, everything would be all right. Lou grinned, just as Willa had planned, then turned to look at her sister just as she began to slip. But it was too late. Lou dashed to the edge and saw Will below her, at the bottom of one of the shallower chasms, but twisted at an awful angle. "Will! Can you hear me?" Nomi and Ruthe made the long hike up to the Chasms. It wasn't an easy task in skirts, and Ruthe only went along to humor her sister. But to see the Chasms -- Nomi promised it would be worth the walk. The sun shone down on the sisters in its lighthearted moments, and the day was clearer than most they'd spent on the island. They wandered along the solid stretches of green, looking down the deep holes, wondering if they could see all the way to the sea. One of the locals had told Nomi that there was a stone circle down one of the cracks, and she leapt across the gashes in the landscape, to Ruthe's delight. The younger girl cheered Nomi on. Nomi hadn't been watching her little sister. She didn't see what caused her to trip, what twist of the ankle sent her falling. She heard the shriek, then the flutter of skirts as Ruthe tumbled down, down, down into the depths of the Chasms. Completely unconcerned about the stability of the land beneath her feet, Nomi ran headlong toward the place where her sister had fallen. She knew exactly which chasm it had been, she knew which hole to look down . . . but when she looked, there was nothing there. No sign of Ruthe. No trace. The mists of Manannan rolled in. Nomi stared down the Chasm, numb, too shocked to think, to believe, to wish. She didn't notice the man approaching, and she thought little of his strange appearance. "What has happened?" he asked. "My sister." The words jerked out of Nomi's mouth. "Gone." "The Chasms take people sometimes," said the man. He laid a hand on her shoulder. Had she been thinking, she would have noticed it was huge, that her entire shoulder fit in just a portion of his palm. "I am sorry." She looked up at him then, and only when she looked at how blurred his face was did she realize her eyes had filled with tears. "Manannan?" "Bring her back!" Nomi demanded. "You call the mists. You rule the waves. Bring her back!" "It doesn't work like that," Manannan said softly. "Then why have you come?" Nomi demanded. "Why could you possibly have come?" "You left food for the fairies," Manannan said. "They are indebted to you now." "The fairies can rot," Nomi said, "unless they can bring back my sister." It occurred to her in some recess of her mind that she was hysterical. It was possible that all of this was hallucination. It was possible that she had completely lost her mind. "We cannot change the past," said Manannan. "I did not know the Chasms would take her. Had I known, I would have changed it. You were kind to the fairies. You know our ways." "Wishes can change the future." Nomi looked down and thought she could see the ocean at the bottom of the Chasm. "I do not care about the future." "Perhaps someday you will. You should consider that." Manannan took his other huge hand and used it to cover her face. "You will return," he intoned. "You will raise a marker for your sister here. And there will be another girl who could lose her sister here. And you will not let it happen." "You have power," Mannanan said as he lifted his hands off of her. "You understand our ways. You understand the ways of wishes. Sometimes it takes two wishes to save a life." "Sometimes it takes two wishes to save a girl from the fairies." Nomi bit her lip. "If I hadn't rescued her, would she have lived?" "In a hill," said Manannan, "with no prince to rescue her." "You will live in a hill," said Manannan, "and perhaps you will call for your sister's company." The god, or necromancer, or hallucination faded as the mists rolled back out over the ocean. "I wish . . ." said Nomi. It's cold and I think it's dark but I can't see anything anyway. Not with the mists. I can't feel anything. I don't know if I'm even really here. I'm rocking back and forth and I can't tear my eyes from her face. She's so still, so awfully, horribly still, and I can't stop crying. I wish. Ha, what good will a stupid little wish do me? If Willa . . . Nomi's dead, and Willa's down there, and I'm the only one who knows about the wish -- it'll die if they're not here to keep it alive. I can't do it myself. What the hell am I thinking? Oh, God, I wish! I wish, I wish, I wish . . .
My face feels warm, but I can't see anything. I have been staring too long and am crying too hard, but the warmth feels like sun. A hand on my shoulder. I jerk, and there is a man, a huge man, too huge to be real. I am hallucinating. A woman, too small, too petite stands on my other side and they look down at Willa. Oh, God. My poor Willa. "She's not moving." I think this is my voice. "My sister." "This will not be easy," the man says. His voice rumbles, and I hear it with my belly more than my ears. I am dreaming. "It doesn't have to be easy, it has to be granted," says the woman, and her voice sounds familiar and reminds me of drinking tea. The man removes his hand and steps down next to Willa. I hear myself cry out, but the woman holds me in her tiny arms, wraps me up in herself as though she is a blanket and I have just come in from the rain. Everything is happening slowly and I know that none of this is real, so I relax, take deep breaths, and wonder when I fell asleep. The mists are gone around us, and the sunshine is coming in. It is lower on the horizon than I had imagined. "Is she . . .?" I ask, looking at the sun. It warms my face, and soon it will turn the sky into a kaleidoscope of colors. I don't want to know the answer, and I know I would never have asked the question if I were awake. It seems funny that everything is so much clearer now that I am asleep, now that I am numb. I look back and the man, who is very old I see now, though you wouldn't know it from the strength or size of his hands. He has come out of the chasm and has quite easily lifted Willa out and placed her next to me. "She is still close," he says. I don't understand what this means. I am afraid to think about it. "Can you find her?" asks the woman. Willa's body is still tucked at a wrong angle. She looks broken. She is not moving. I am sobbing again, in spite of the woman-blanket surrounding me. I choke on my tears. "I will try." The man steps out of my sight, and when I look for him I cannot find him because my tears are blurry. The woman unwraps herself from me and attends to my sister, straightening her body, oh God, her body! I can't watch. I hug my knees and feel the cold come back, feel the mists wrap around us again, as the sun vanishes from my world. My Willa. I can hear them moving around, the man and woman, and I try to block them out of my dream. I don't want any more dreaming, I want to sleep, to not know anymore, because the knowing hurts and wracks my chest. In spite of my efforts, I hear him say, "It is done." And I hear her say, "My wish is filled then. Two wishes and it is done." And then I hear nothing but my own sobs until finally my tears have gone dry and my body is too tired to cry any more. I wish . . .
Lou sat, hugging her knees, not knowing how long she had been there. She thought she might have dreamed. "I don't know," said Lou, feeling numb still, confused. "We should go. It's getting late." Lou looked out from her knees and saw that the mist had parted. Willa sat next to her, hugging her own knees. Lou stood, but her balance was off, and she reached out for Willa's shoulder. Willa steadied her and stood as well. "I feel light headed." "Best to keep walking then. We'll hire a cab at Port St. Mary." Lou grabbed onto her sister's hand. "I love you, Will." Willa pulled her forward until they were back at the barn, safely away from the chasms. Then the two girls hugged each other, tightly, and stood for another few moments. The sky had turned shades of purple and orange, and the sisters finished their hike two hours later, coming into Port St. Mary just as darkness had embraced the Isle. Behind them, left at the Chasms, lay the body of a bent and broken lost sheep. They visited Nomi's grave on Sunday. It was in a graveyard in Port St. Erin near a place called Cronk Moar, the Fairy Hill. They took flowers for Nomi's grave and cookies for the fairies. After Lou put the flowers at the base of the gravestone, she stayed crouched there, looking at the lettering. She wasn't sure what she expected to see, but it all seemed so plain for a woman who had seemed so very magical. The simple lettering was in the same style as the stone next to it, which belonged to a woman named Ruthe who had died when she was twenty-two. "Maybe she was just normal in real life," said Lou. "Maybe if we'd met her, we never would have thought she was a fairy." "She was a fairy," said Willa. "You know that. She gave you a wish." "I think it's gone," said Lou. She had felt strange after the Chasms, though she hadn't said anything to Willa. Neither of them had spoken of it. "I know it's gone," said Willa quietly. "I know what you did." Lou took the cookies out of her backpack and started walking off toward the hill. "I don't remember what I wished for." "Maybe you didn't need to say," Willa suggested. "Maybe you just had to feel it." They left the cookies near a tree near the fairy hill to avoid the prickles that covered it. Lou looked at the hill for a moment and thought of sipping tea and a blanket surrounding her shoulders. They walked back to the bed and breakfast, and somewhere along the way, their hands found each other's, and in the holding it seemed as though nothing could break the bond that made them so close. A wind came up, and blew at the flowers they had left on Nomi's grave. The petals fluttered, and several of them came off, floating over to the base of the headstone of Ruthe Williams. Later, locals who were still superstitious said that there were always flowers on the graves of the two Williams sisters, that they were put there by fairies from Cronk Moar. But no one ever knew if it was true. We don't pay our staff, but we do pay our contributors. If you'd like to help, just click the button to donate. 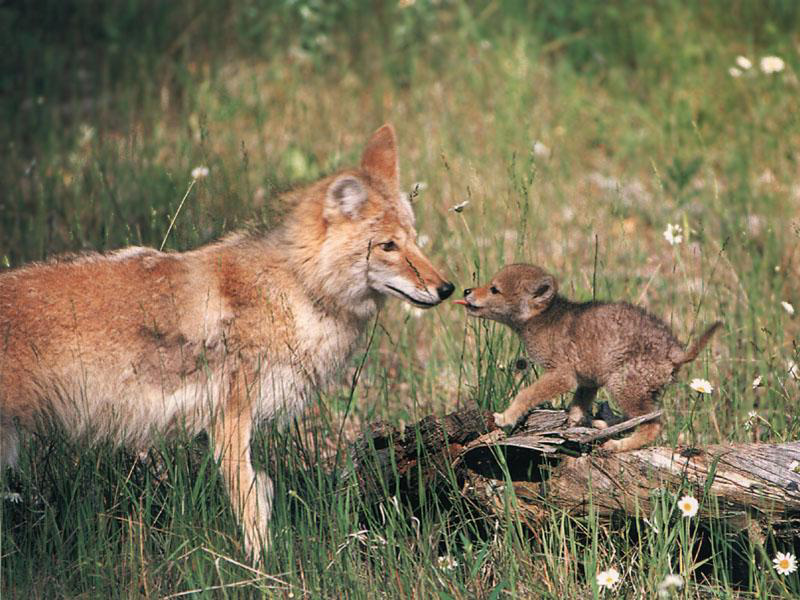 Coyote Wild is an Absolute Write Publication. Copyrights retained by authors, unless otherwise noted.